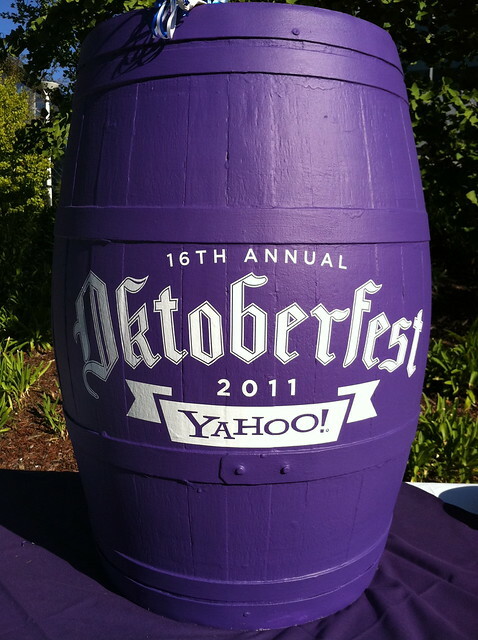 Here is a picture of a purple keg that says 16th Annual, Yahoo Oktoberfest 2011. The picture was posted by Seán Lightholder on Flickr a few days ago. Would you drink from this purple keg?